It was just me playing the four characters. I rotated between boss killing with the Barb/Sin/Druid and I used the Necro to farm gear and curse bosses when needed. 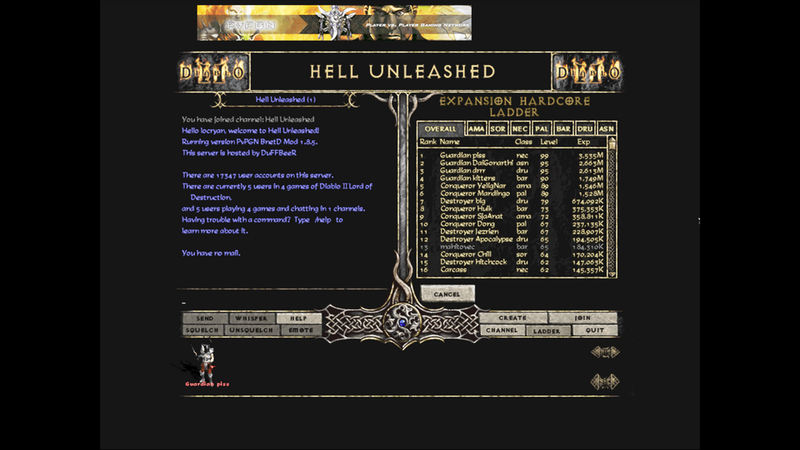 The necro used a typical Skeleton summoner build. Thanks. now i see. i or we have the same situation like you . he, my friend, use necro as a curser too. but he made barb/pal/druid do the killing-boss job. ...quite similar to yours. could you tell me what your builds Barb/Sin/Druid are? Man... that ladder is sad.